Fruit bats and the plants they feed from depend on each other in a mutualistic relationship. The plants provide fruit, juice, and nectar that nourish the bats. The bats spread the plants’ pollen and seeds, helping them reproduce. Many kinds of fruit including figs, mangoes, and dates, are favored foods of the fruit bat. Fruit bats thrive in a variety of habitats, from forest to savanna and from sea level to mountain, as long as they can find food and shelter. When they are just “hanging out,” fruit bats find protection from predators and weather in caves, trees, buildings, and other dark, hidden places. When they are active, they emerge from shelter to fly and forage for fruit, sometimes up to 25 miles from their roost. Although people occasionally kill them for food or to protect crops, fruit bats for the most part are widespread and appear to be plentiful. Animals that eat fruit are called frugivores. Fruit bats are sometimes called “flying foxes” because their long snouts and upright ears give them a foxlike look. Many fruit-bearing plants in the world depend on fruit bats to spread their pollen so they can reproduce. Bats are mammals, just like people, cats, and cows. They have fur, give birth to young rather than lay eggs, and feed their young milk from their bodies. The huge African baobab tree depends on fruit bats for pollination. Minnesota has seven native species of bats. Minnesota bats eat insects rather than fruit. Some fruit bat colonies are home to more than a million individual bats. Because fruit bats depend on plants for food, healthy habitat is important to them. Egyptian fruit bats and Ruwenzori fruit bats seem to be thriving throughout their range. 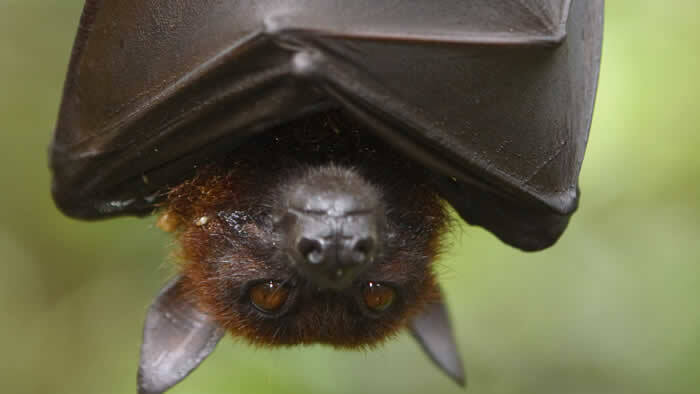 Populations of straw-colored fruit bats, however, appear to be declining in some places. 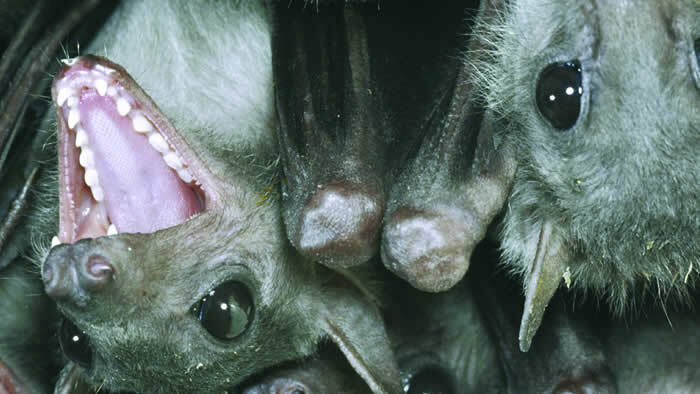 These bats are sometimes killed for food and medicine. You can help fruit bats and other living creatures by supporting programs that protect habitat for wildlife.